Phi Beta Sigma Fraternity Inc, has long been a leading standard amongst your men interested in fraternal involvement. Become A Brother Of Phi Beta Sigma Fraternity Inc.
​​Thank you for your interest in Phi Beta Sigma Fraternity Inc. Within this section you will find information on the qualifications to become a member of our great Fraternity. After you read through the information within this section, please fill out the “Men Interested in Sigma Inquiry Form” so that we can have a member of our Fraternity get in touch with you to discuss your interests further. 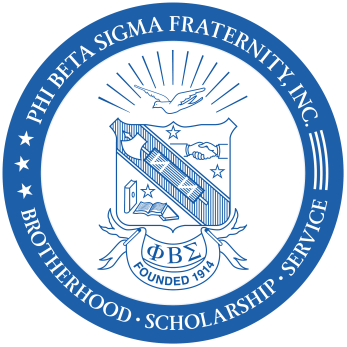 Collegiate membership in Phi Beta Sigma Fraternity Inc. is limited to college men who are attending and working toward obtaining a baccalaureate degree at a recognized college or university and have completed at least one grading period and have obtained a minimum of a 2.5 cumulative GPA based on a four point scale. Candidates of Phi Beta Sigma Fraternity Inc. must not currently be a member of or have previously been a member of another intercollegiate fraternity other than an honorary or professional fraternity. Each candidate for membership in Phi Beta Sigma Fraternity Inc. must apply to the Alpha-Delta chapter based upon the terms and conditions outlined in the Fraternity’s membership intake and development process. We therefore seek men who will promote and extend the policies and programs of Phi Beta Sigma Fraternity Inc. The Fraternity, in return, is a massive network through which individuals can grow and develop personally and professionally.